remain in the holiday mood? Then book this special promotion for November! Ajabu Adventures is delighted to offer an amazing 8-days Safari Special for November 2018. With this private safari you will visit the highlights of northern Tanzania while staying at comfortable and authentic safari lodges. Extend your safari adventure with pure relaxation at the tropical beaches of Zanzibar. And all this for a spectacular price! 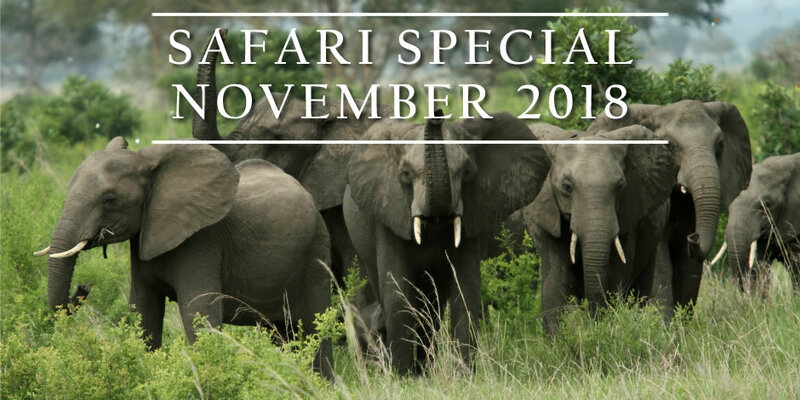 View the detailed Safari Special November 2018 or contact us directly for a personalized safari proposal. Also check out our 5 reasons why Tanzania is particularly special in green season! This special promotion is only valid when traveling in the month of November 2018 and can be booked until 15 October 2018.